Yay, summer is officially here! (At least for now.) The shift in temperature has decreed so much that we can trade ankle boots for sandals, finally get those winter coats dry-cleaned and embrace all manner of summer dresses for the office. Except it feels like so long since we got to dress like this that we’ve sort of forgotten how to do it. It was all well and good on the Bank Holiday weekend when time was no object and we dreamed of going somewhere fun and chilled. However, things are quite different when navigating the Central line while wearing new sandals and then turning up to a rather sauna-like office. So we thought it'd be best to be honest about the situation and provide IRL inspiration for you when you come across this situation again yourself this summer. We documented what Team Who What Wear UK and Team Byrdie UK decided to dress in for a hot day’s work today. Keep scrolling to see the results. 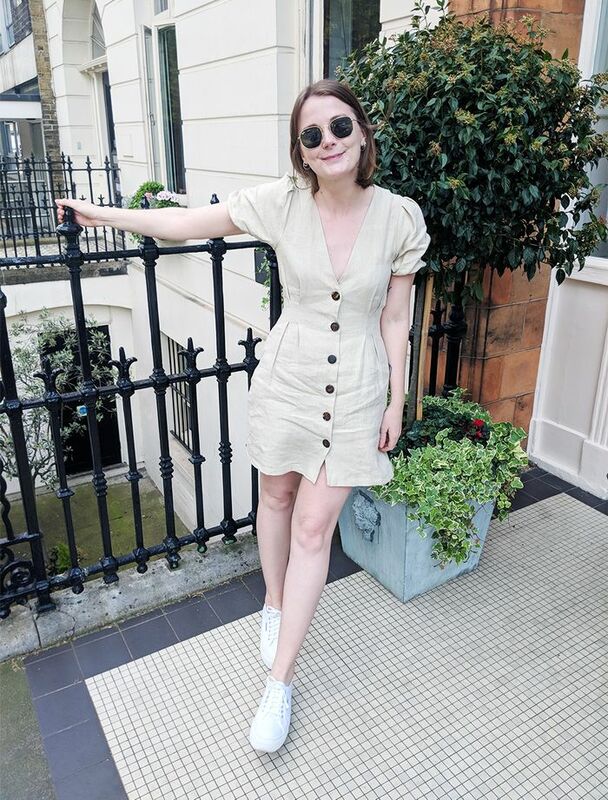 On Emma: Zara jacket; Topshop dress; Ancient Greek Sandals slides; Joseph Germain Sunglasses (£235). On Hannah: Ghost dress; vintage belt; Staud bag; Maryam Nassir Zadeh sandals. How did you style your outfit today? Use the hashtag #wentoutlikethis on Instagram, and we’ll be sure to see it.